Tomas Berdych looks back on his Wimbledon final experience, eight years ago, in this edition of My Story. Watch highlights as Canadian Milos Raonic battles through two tie-breaks to oust No. 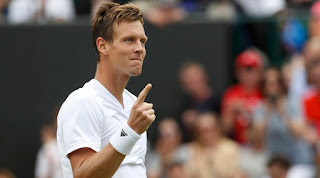 3 seed Tomas Berdych in the MercedesCup quarter-finals. Watch Hot Shot as Milos Raonic deals a hammer blow to Tomas Berdych's chances of coming back in the second set tie-break on Friday at the MercedesCup. Watch highlights as Tomas Berdych snaps a five-match losing streak to reach the MercedesCup quarter-finals on Thursday in Stuttgart. Video: MercedesCup. Photo: Peter Staples/ATP World Tour. Watch as Benoit Paire pulls off a stunning tweener half volley drop shot for a winner against Tomas Berdych in the second round of the MercedesCup in Stuttgart. Tomas Berdych assesses his performance in his Miami opener, where he defeated Yoshihito Nishioka in straight sets. Lucas Pouille and Tomas Berdych advanced to the Open 13 semifinals. 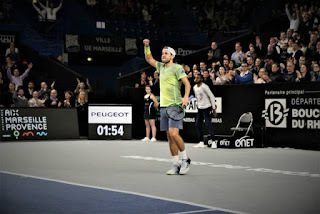 Pouille beat Filip Krajinovic 7-6 (5), 3-6, 6-4, hitting 20 aces and securing victory on his first match point when he broke Krajinovic's serve for the first time. Berdych led 7-6 (4) when Damir Dzumhur pulled out feeling sickly. 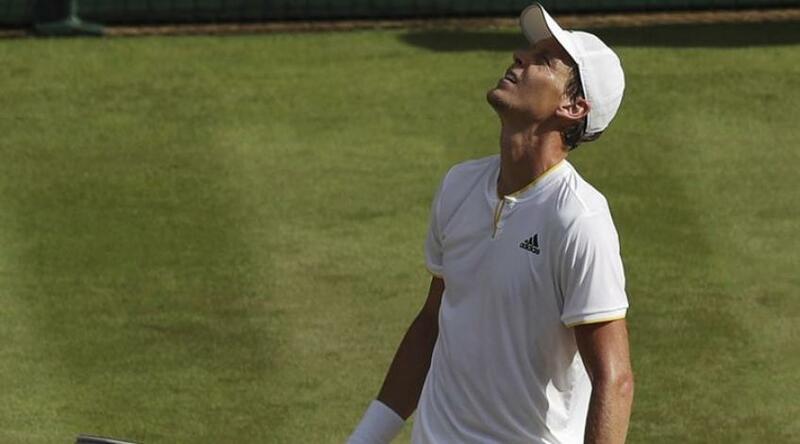 "He was ill all night, it can't be easy to play in the shape he was in," Berdych said. "I was in the same situation last week." Pouille is looking for his second straight title after winning the Open Sud de France two weeks ago and plays 193rd-ranked qualifier Ilya Ivashka in the semifinals. Berdych will face Karen Khachanov, who beat Berdych in the second round of the French Open last year. 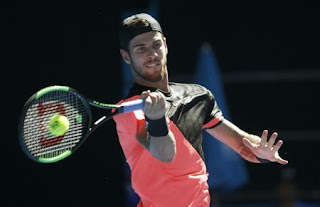 In their quarterfinals, Khachanov had 16 aces in beating Julien Benneteau 6-4, 6-4, while Ivashka beat Nicolas Mahut 4-6, 6-3, 7-5. Mahut saved 10 of 13 break points against Ivashka, who had 13 aces. In this edition of the Challenger Vault, Tomas Berdych reflects on claiming the ATP Challenger Tour title in Braunschweig, Germany in 2004 and talks about how the circuit helped grow his game. 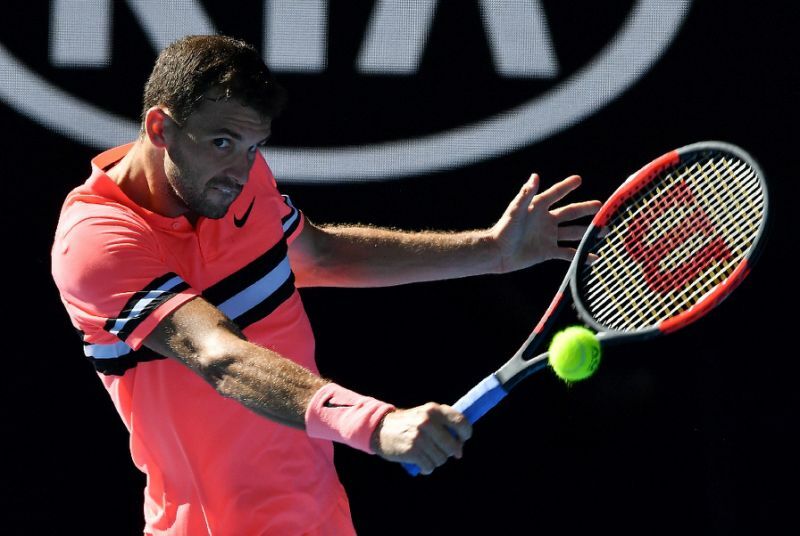 Grigor Dimitrov defeated Andrey Rublev 6-3, 6-4 to reach the semi-finals in Rotterdam. The Bulgarian duplicated his 2013 semi at the Ahoy Stadium with a win in an hour and a quarter, sending over a dozen aces and saving both break points he faced against his 20-year-old opponent. Dimitrov edged ahead in the series, 2-1 as he put out the tournament debutant ranked 34th and holding one ATP title from last summer on clay in Umag. Watch highlights as Alexander Zverev and Tomas Berdych advance on Monday at the AMB AMRO World Tennis Tournament in Rotterdam. Tomas Berdych recalls the first time he met his wife and the first time he was asked for an autograph. Highlights from Tomas Berdych's victory over Guillermo Garcia-Lopez in the second round of the 2018 Australian Open. 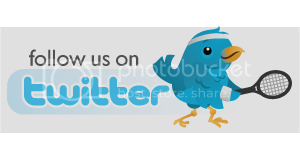 Match highlights of Tomas Berdych taking victory against Alex de Minaur in round one of the Australian Open 2018. Tomas Berdych speaks following his first round victory over Alex De Minaur on Day 1. 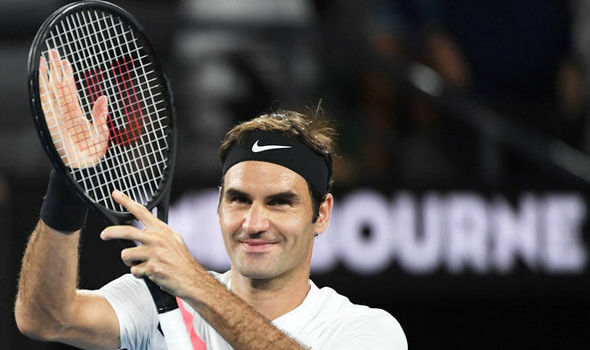 Roger Federer got cranky at the chair umpire for a technology flaw in his Australian Open quarterfinal match, using the rare emotional outburst as motivation. It helped. Federer beat Tomas Berdych 7-6 (1), 6-3, 6-4 Wednesday and will next face a challenge from the next generation. 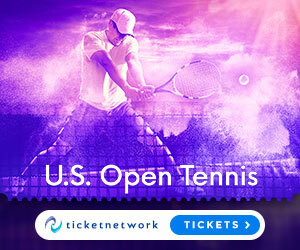 That will be against Hyeon Chung, the first South Korean to reach a Grand Slam semifinal and the youngest to reach the last four at a major since 2010. Federer had to overcome a shaky start, dropping his opening service game and uncharacteristically questioning chair umpire Fergus Murphy because of a technological fault. With Berdych serving for the first set in the ninth game, Federer had challenged a line call. Go behind the scenes with some of the stars of the ATP World Tour including Grigor Dimitrov, Stan Wawrinka, Tomas Berdych and more as they train at the Monte-Carlo Country Club in preparation for the 2018 season. Tomas Berdych is the latest player to end his season early after announcing he would miss tournaments in Vienna and Paris because of a back injury. The 32-year-old world number 18 still had a remote chance of qualifying for the season-ending ATP World Tour Finals for an eighth time. "I have been playing with back pain since Wimbledon and in my last match in Beijing I felt like it was getting worse," Berdych said on his twitter account. Tomas Berdych explains why finding the perfect coach varies from player to player and depends on their personality in this ATP Player Profile.